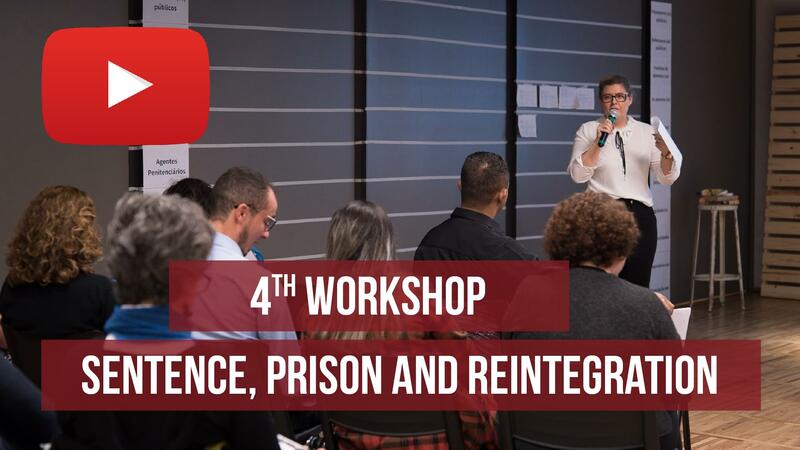 The fourth workshop in the series “Paradigm Shift: Sentence, Prison and Reintegration of Inmates,” facilitated by the Humanitas360 Institute, consolidated the creation of a coalition to combat the increase of violence by proposing changes in the prison system and improving the reintegration process of ex-inmates in society, keeping them from returning to jail. The meeting took place on August 8th and brought about 30 people together, among whom were representatives of social organizations, researchers and specialists in the field. To define a strategy for the project, participants built a matrix with all the work and initiatives that they have been developing. Each project was positioned in the matrix according to their target audience (such as inmates, criminal justice professionals etc.) and the type of work being done (communications, advocacy, direct service to the community). 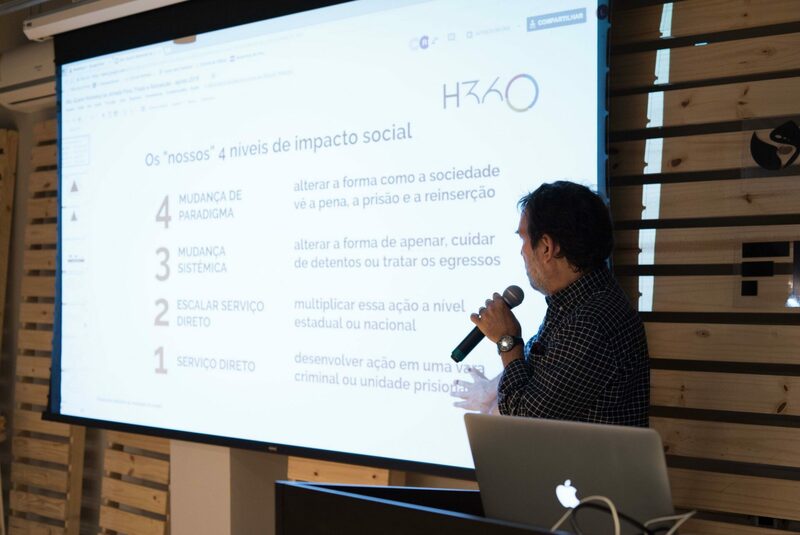 This process allowed participants to identify points of synergy between projects that already exist, and helped shine a light on the areas and target audiences that still need to be reached in order to promote a paradigm shift in society regarding the issue. 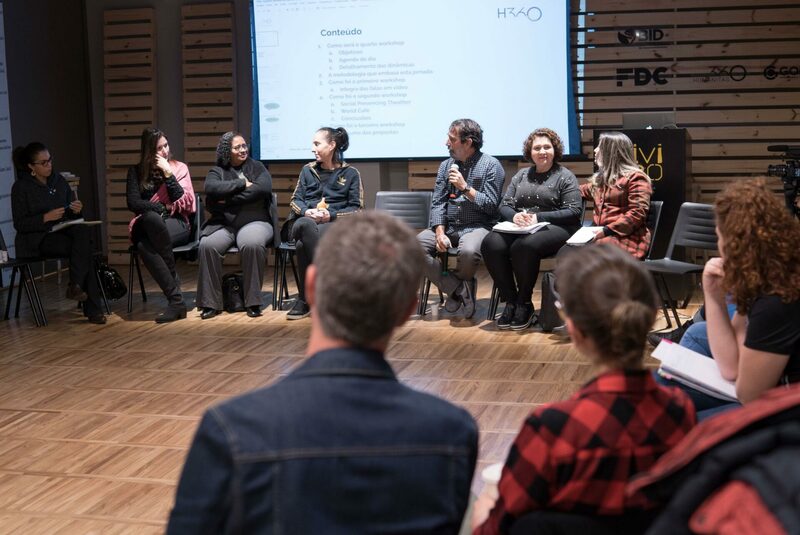 There was also a discussion about the integrated communications strategy that is being formed, as well as a conversation about educational campaigns directed at specific audiences. 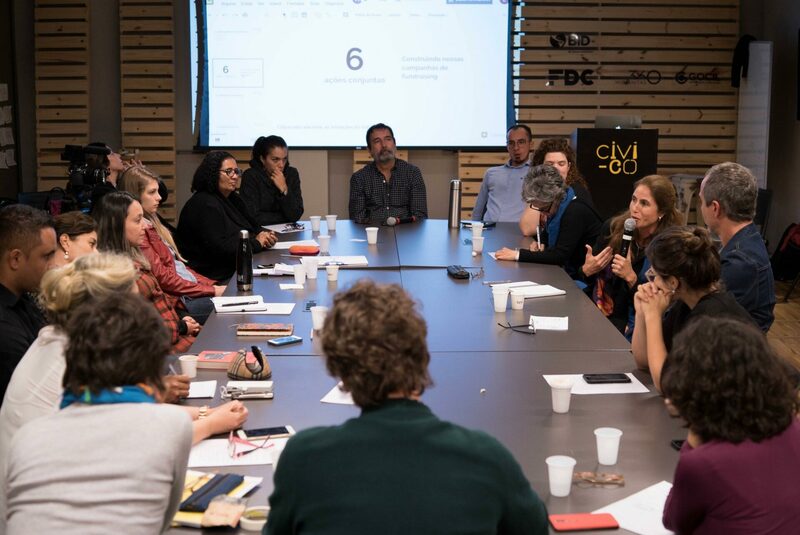 In addition to that, participants discussed what can be done to change parts in Brazilian legislation that have been furthering mass incarceration in the country. In the last 15 years, incarceration rates rose 300% according to the Ministry of Justice, placing Brazil in third place in the list of countries with the largest prison populations in the world. Nevertheless, the country has one of the highest rates of homicides and violent crimes. Opposite to what is commonly believed, that imprisonment inhibits violence on the streets, the practice reveals that mass incarceration actually helps further the growth of criminal factions. It was agreed among all that the mobilization of civil society and the implementation of education programs are the only ways to bring about changes in the legislation and create new public policies. 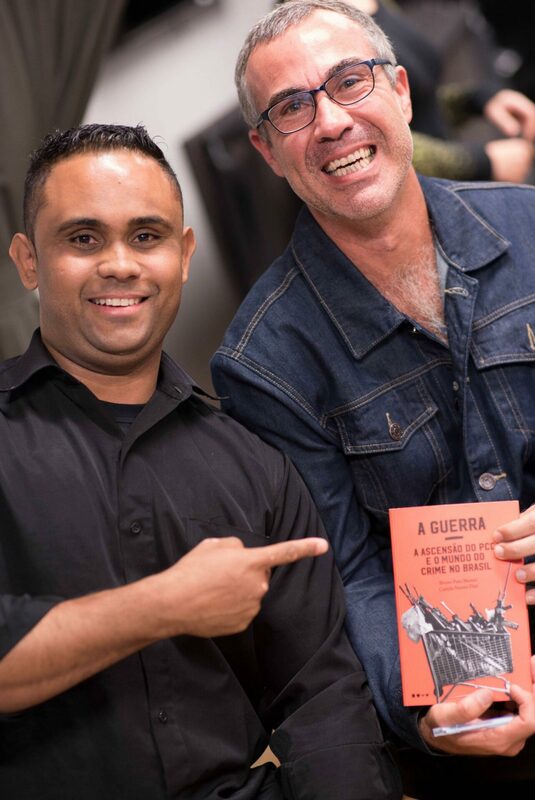 It is necessary to promote reintegration in society in order to deconstruct the war in which we have lived for more than 30 years,” said Bruno Paes Manso, co-author of the book A Guerra – A Ascensão do PCC e o Mundo do Crime no Brasil (freely translated as The War – The Rise of PCC and of the Criminal World in Brazil, which has been recently released. Until the next workshop, which is scheduled for October, the participants have the challenge of coming up with a name for the coalition as well as organize different areas of work on which to focus. The meeting concluded with each participant sharing their opinion about the importance of creating the coalition.